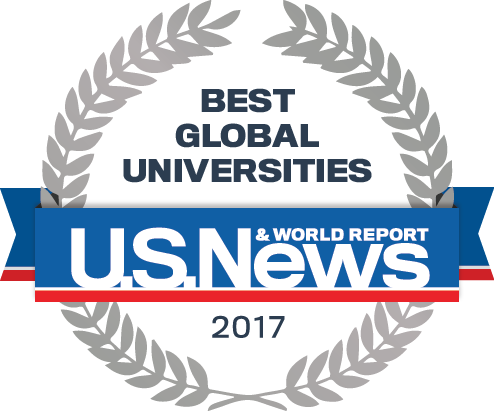 Reputation for Excellence: Named to the 2017 US News & World report top 50 Best Global Universities, UC Santa Cruz has earned national and international recognition both for the impact of its research and for its long-established commitment to quality undergraduate instruction. A campus with world-class facilities and one of the most visually spectacular settings in higher education, UC Santa Cruz provides unparalleled opportunities for students to learn through hands-on experience. A commitment to environmental stewardship and community engagement are also central to UCSC's core values. Faculty include two of the University of California’s honored University Professors, 22 members of the American Academy of Arts and Sciences, 10 members of the National Academy of Sciences, and 34 members of the American Association for the Advancement of Science. Recognition of the faculty's outstanding research has resulted in steady increases in contracts, grants, and private funding across all five academic divisions, including UCSC's Baskin School of Engineering. UCSC faculty and researchers regularly receive more than $100 million annually in external funding, with funding in contracts and grants totaling $686 million over the past five years. At the end of June 2017, the campus closed its Campaign for UC Santa Cruz with $335 million, surpassing the goal of $300 million. In 2015, Times Higher Education World University Rankings rated UC Santa Cruz 2nd in the U.S. and 8th overall in its rankings of top universities under 50 years old. In 2017, UC Santa Cruz was rated 3rd in the world for research influence by the Times Higher Education World University Rankings, tied with Stanford University. In 2017, Professor Emeritus of Molecular, Cell, and Developmental Biology Harry Noller was awarded the prestigious $3 million Breakthrough Prize in Life Sciences for his discoveries about the ribosome. In 2017, David Haussler, professor of biomolecular engineering and scientific director of the Genomics Institute at UC Santa Cruz, was rated No. 5 among the top 1,000 computer science and electronics professors in the world by Guide 2 Research. Other top-rated UCSC professors included J.J. Garcia-Luna-Aceves and Martin Abadi. In 2016, Professor Emerita of Astronomy and Astrophysics Sandra Faber was awarded the California Academy of Sciences Fellows Medal, the Academy's highest honor. In 2013, President Barack Obama awarded Faber the National Medal of Science, the highest honor bestowed by the U.S. government upon scientists. History professor Gail Hershatter joined astrophysicist Neil deGrasse Tyson, singer-songwriter Judy Collins, novelist Tom Wolfe, and UC President Janet A. Napolitano as a newly elected fellow of the American Academy of Arts and Sciences in 2015. Professor David Haussler was awarded the prestigious Dan David Prize, a $1 million prize that he shared with two other leaders in bioinformatics, in 2015. In 2015, U.S. News and World Report ranked UC Santa Cruz as one of the top best-value universities in the U.S. UC Santa Cruz was the highest-ranked UC and the second-highest ranked public university on the list. In 2014, Bestcolleges.com named UCSC first in the nation among 50 top colleges for Hispanic students. In 2017, Variety magazine named UCSC one of the top "stellar film schools" in the U.S. In 2015, Business Insider listed UCSC as one of the "20 universities most likely to land you a job in Silicon Valley." In 2015, Money Magazine rated UCSC as one of the top best-value colleges in the U.S. In 2015, Best Value Schools ranked UCSC 5th among the most beautiful coastal college campuses in the U.S. In 2017, College Factual ranked UCSC 9th in the nation in Film, Video, and Photographic Arts, thanks to its innovative film and digital media programs. In 2017, CollegeNET ranked UCSC 13th in the nation -- and 2nd among UC campuses -- for social mobility. In its 2019 listings, U.S. News & World Report rated UCSC 26th nationally among public doctoral universities. In the same publication, UCSC was highly rated for its commitment to undergraduate education, as well as its ethnic diversity, and its commitment to veterans. In 2016, UCSC was the number-one Hispanic-Serving Institution in the U.S. for alumni Peace Corps participation, tied with San Diego State University. In 2016, UCSC earned the highest score possible in the Princeton Review Green College Honor Roll. In 2017, the Sierra Club ranked UCSC as one of the top 25 greenest colleges and universities in the U.S. in its Cool School ranking. UCSC was the second-highest ranked UC and earned a perfect score in "innovation." UCSC has won several awards for its innovative transportation programs, including a bike shuttle, vanpools, student bus passes, and the Zipcar carsharing program. Fifty-five percent of campus land is designated as protected natural landscape. Approximately 25 percent of produce served in dining halls is organic, with much of it coming from local providers, such as the Farm and Garden run by UCSC's Center for Agroecology & Sustainable Food Systems (CASFS).